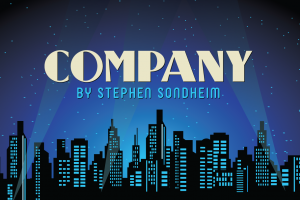 Centenary announces auditions for Stephen Sondheim's "Company"
SHREVEPORT, LA — The Singers’ Workshop at Centenary College’s Hurley School of Music and the Marjorie Lyons Playhouse will team up to present Stephen Sondheim’s Company April 4-7, 2019. Hurley Artist in Residence Cindy Sadler will direct with Adam Philley as music director. Auditions for Company will be held Friday, September 14, from 6:00 to 8:00 p.m. and Saturday, September 15, from 2:00 to 5:00 p.m. in Anderson Auditorium at the Hurley School of Music. Auditions are open to Centenary students, faculty, and staff, and are by appointment only. Interested students should review the audition information available at centenary.edu/company and make an audition appointment by contacting Cindy Sadler at csadler@centenary.edu. Sadler will host a free audition workshop on Sunday, September 9, from 2:00 to 4:00 p.m. in Anderson Auditorium. The workshop will offer tips and techniques for those auditioning for Company and other upcoming shows. To register, please send an email to csadler@centenary.edu. For more information about auditions, the auditions workshop, or the 2019 production, contact Cindy Sadler at csadler@centenary.edu.